Downtown Singapore. Completed: Around 1993. Facilities: Lap pool (30 metres long) and gym. Security guard. Pink building is the 7 Claymore Road apartments. In 2012, the 2-bedroom rents around $4,200 partially furnished. $4,500 fully furnished. Minimum lease is 2 years. 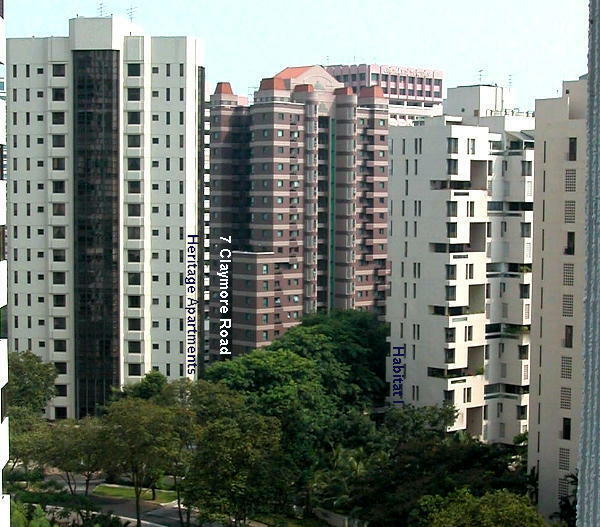 Very popular with single expats wanting to be near action in prime Orchard Road Area. 5-minute walk to the American Club. 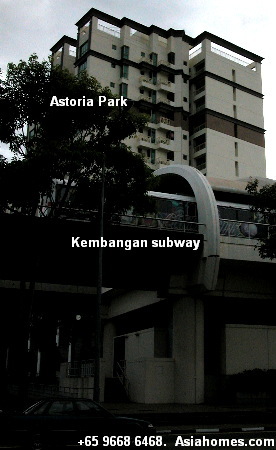 5-minute walk to Orchard subway, Planet Hollywood and Starbucks in Orchard Road/Scotts Road vicinity. 3-subway stops to Raffles Place. Many buses to Raffles Place. However, please note that the building was completed in 1993 and therefore not as glittering as the brand new condos. However, the rental of the new condos for a 2-bedroom is around $6,000 - $7,000 in this location. As at Mar 22, 2012, no vacancy till April 15, 2012. East Singapore. 32 Lorong Mydin. 99 years leasehold. Living and dining area: Homogeneous tiles. 24-hour security, clubhouse, putting green, spa pool. Playground, jogging track. Advantage: 1 min walk to the Kembangan subway. Suits expats who work near the Chai Chee Industrial Park or Changi Expo area.